Hope for Families Ministry was formed in 2014 to respond to needy families in Naples. Our mission is to equip, educate, and empower families to achieve a higher quality of life and greater sense of community. 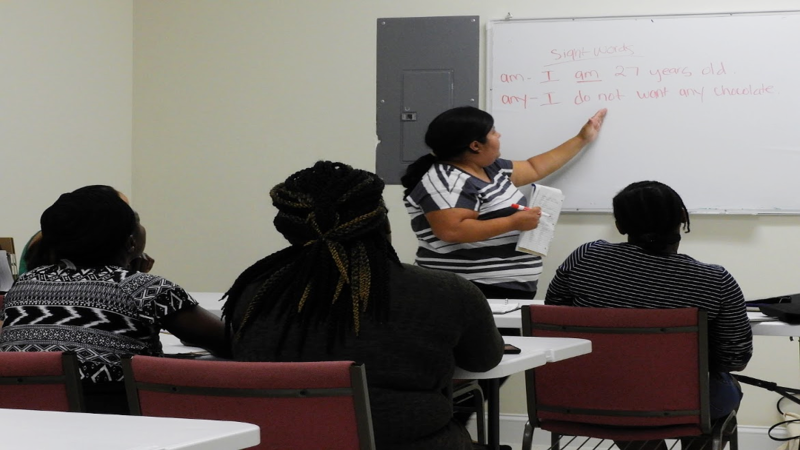 Since its inception, Hope for Families has served hundreds of low-income adults and their families by offering free programs such as English, computer, budgeting, job skills training classes and health improvement workshops. All Hope for Families programs are designed to create economic opportunity and hope for needy families in our local community. For more information please call 239-692-7058. The Planning Committee has met with several “experts” in this area and is preparing to launch a series of “getting to know Bridges” mini sessions in Naples and Immokalee. Committee Chairs will be providing updates on their respective committees at both the next EXE-COM and General Membership meetings. The 10 Year Plan to End Homeless in Collier County called Vision 20/20 is: A Clear View of Housing for All Members of Collier County is a community-level action plan for addressing the housing needs of adults, families, youth, and children who are homeless or at risk of becoming homeless. The development of this plan has been a collaborative effort involving individuals and families who have or are currently experiencing homelessness or are at risk of becoming homeless, unaccompanied youth identified as homeless, service providers, advocates, policy makers, and other community leaders. ***Update January 15, 2019*** The Collier Hunger & Homeless Coalition along with its Continuum of Care partners are updating the 20/20 Vision Plan include new services and programs and amending programs that are no longer needed or viable in Collier County. We will continue to keep you posted as the 20/20 Vision is updated. The Mission of Meals of Hope is “Communities coming together to end hunger!” We believe it is our job to feed people. Meals of Hope began as a food packing organization, and we are the only food packing organization with a priority on keeping the food packed within the United States. We developed five meals specifically designed for the American palate and added vitamins, minerals and proteins to supplement an unbalanced diet. Most of our packed meals are donated to the Feeding America Food Bank Network. More than 15,000 volunteers and six full-time staff members assist Meals of Hope in achieving its Mission. For more information please call 239-537-7775.